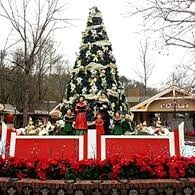 Dollywood Park for "Smoky Mountain Christmas"
'Tis the Season' ...to head into the heart of the Smoky's for a VERY FESTIVE TIME, filled with top-notch activities and attractions throughout...this is the kind of tour that brings raves from every group we take here. Ridge upon ridge of endless forest straddle the border between North Carolina and Tennessee in Great Smoky Mountains National Park, one of the largest protected areas in the Eastern United States. World-renowned for the beauty of its ancient mountains, the park, once a part of the Cherokee homeland, attracts over nine million visitors each year. 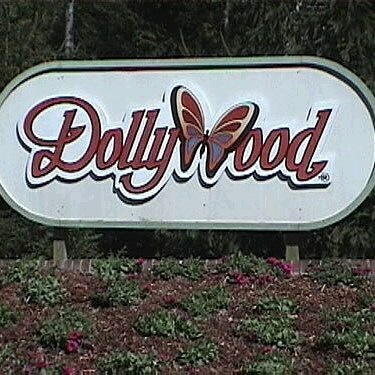 We are going into the heart of the SMoky's to Pigeon Forge, Tennessee for a "down-home" holiday celebration that you'll never forget. This evening we have a real treat featuring America's Hit Parade Dinner Show at the Grand Majestic Theater - A singing and dancing sensation that will take you through many of the greatest hits of the decades. Celebrate this musical evolution with music from four eras, featuring America's top tunes of all kinds and a "One-of-a-Kind Military Tribute" to the men and women of the Armed Forces; combine with holiday favorites. It's a guaranteed good-time! Breakfast included. 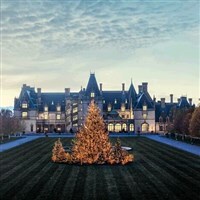 This morning we depart Pigeon Forge and travel into the Blue Ridge Mountains to Asheville, NC to see the fabulous Biltmore Estate at Christmas - The Vanderbilt's "country mansion" includes 65 fireplaces and 43 bathrooms on 125,000 acres...America's largest private residence. 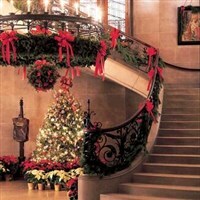 We'll visit this spectacular showplace bedecked in all it's Christmas splendor - it is awesome! With lots of elaborately decorated Christmas trees inside, you may experience what it may have been like to be a guest for its first holiday season in 1895. Known for being one of the largest holiday displays in the Southeast, the mansion's Christmas centerpiece will be a jaw-dropping vision during your visit which will be adorned with lights and surrounded by hundreds of gift boxes - awesome. Enjoy endless miles of brightly lit garlands, mid-century antiques, magnificent rooms lit by candles, and over-the-top Christmas adornment from top to bottom! You will find Christmas around every corner of the mansion along with time to also visit the award-winning winery on the grounds. This evening we enjoy the "Hatfield & McCoy's Dinner Feud Christmas Show." This production is loosely based on the true story of the famous Hatfield and McCoy feud. Everyone is divided into the Hatfield and McCoy families, and get to participate in the good-natured rivalry! See amazing and comical stunts during the show which add a special excitement. Singers, dancers, actors, musicians and professional stunt people round out the cast. Enjoy this family-friendly atmosphere focused on fun! Breakfast included. This morning we have reserved seats for "The Patty Waszak Show" - Inspiring, wholesome, clean-cut, uplifting -- these are just some of the words used to described this phenomenal show in which Patty uses over 40 musical instruments! This afternoon we will have some time on your own at the Old Mill Village which is known for its dining, shopping and Smoky Mountain hospitality! There will be time for you to enjoy lunch on your own and do some holiday shopping. 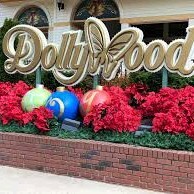 This afternoon we will visit Dollywood Park for the "Smoky Mountain Christmas Celebration" which will fill your heart with the Christmas spirit and Dolly sure knows how to do Christmas right. You will stroll among 175 live trees, 3.5 million lights, 300 wreaths, and enjoy Christmas musical shows all over the grounds - Excellent! PLUS, we are including Dolly's delicious "Holiday Buffet" dinner at the Christmas Pavilion. And if all this wasn't enough we continue our holiday experience tonight with a beautiful guided tour of the "Winterlights" of Pigeon Forge and Gatlinburg...get ready for a razzle dazzle of color and lights. This morning we say good-bye to the Smoky Mountains and travel back to our hometowns with many fond Christmas Memories and the holiday season in full swing!